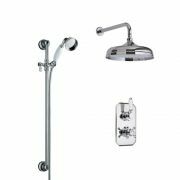 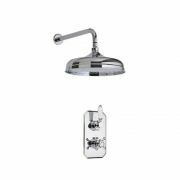 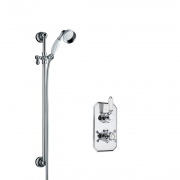 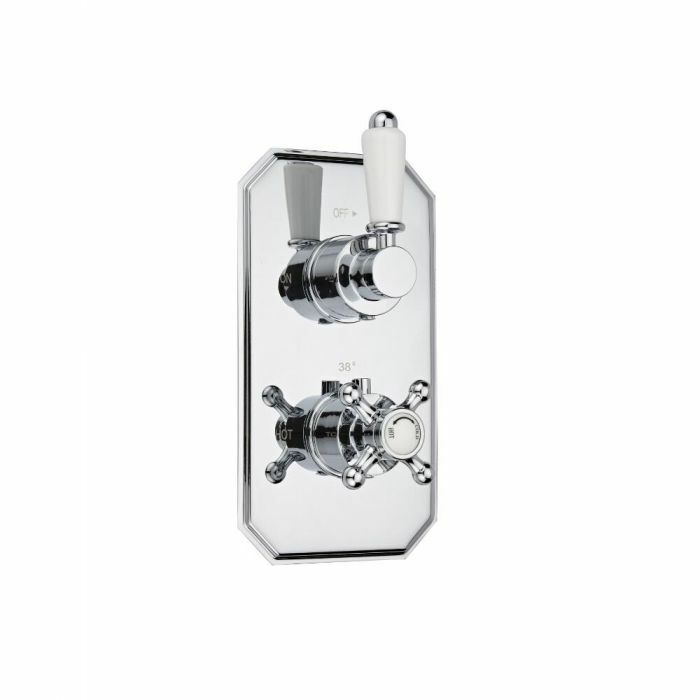 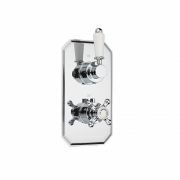 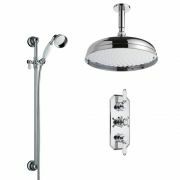 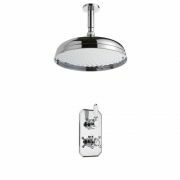 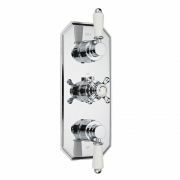 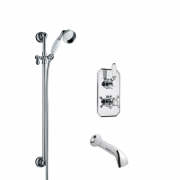 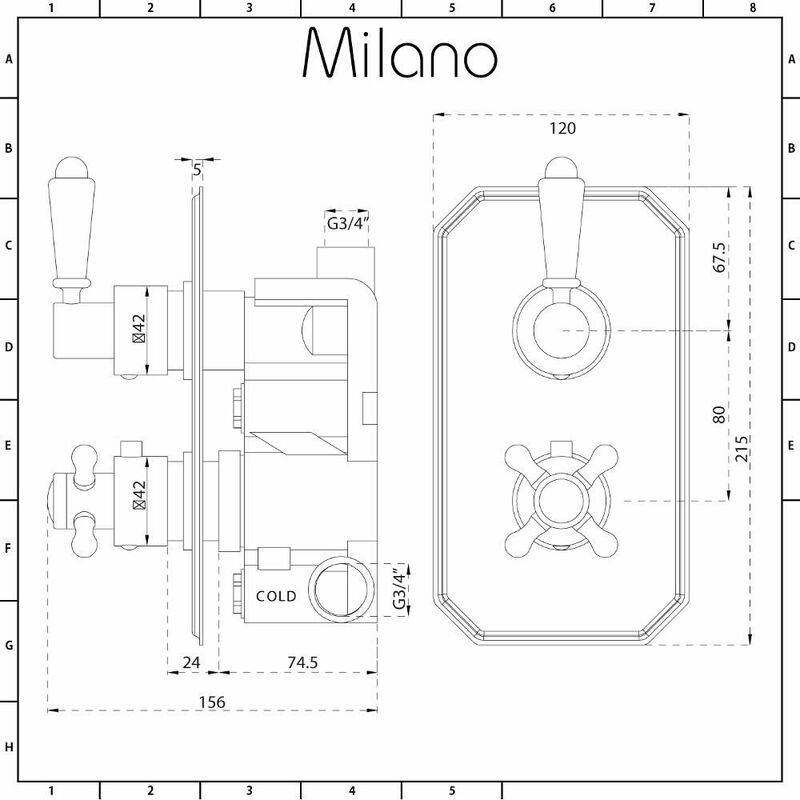 The elegant Milano Victoria thermostatic twin shower valve will enhance any traditional bathroom or en-suite. 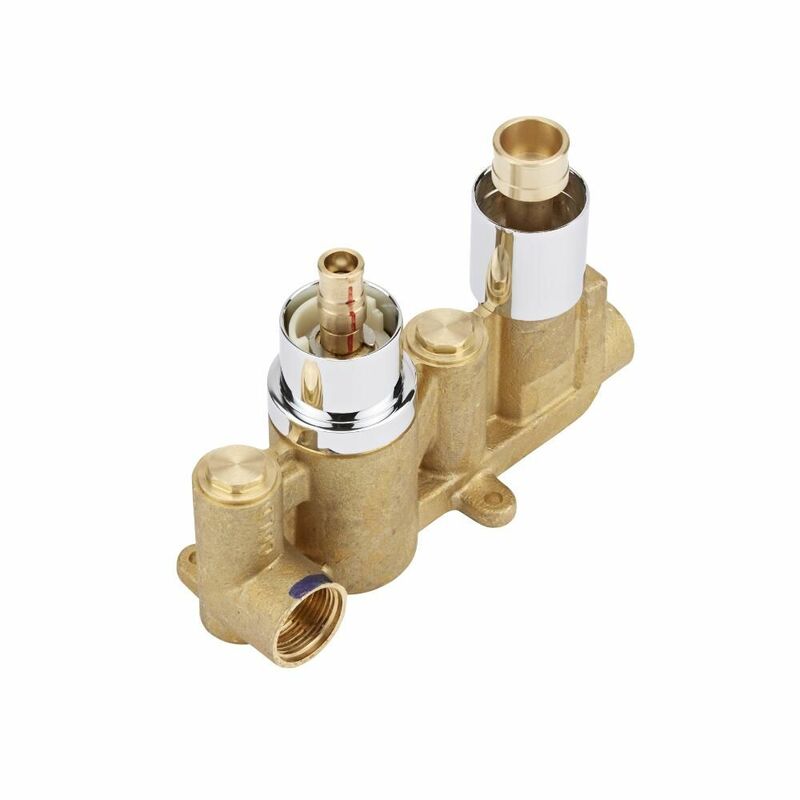 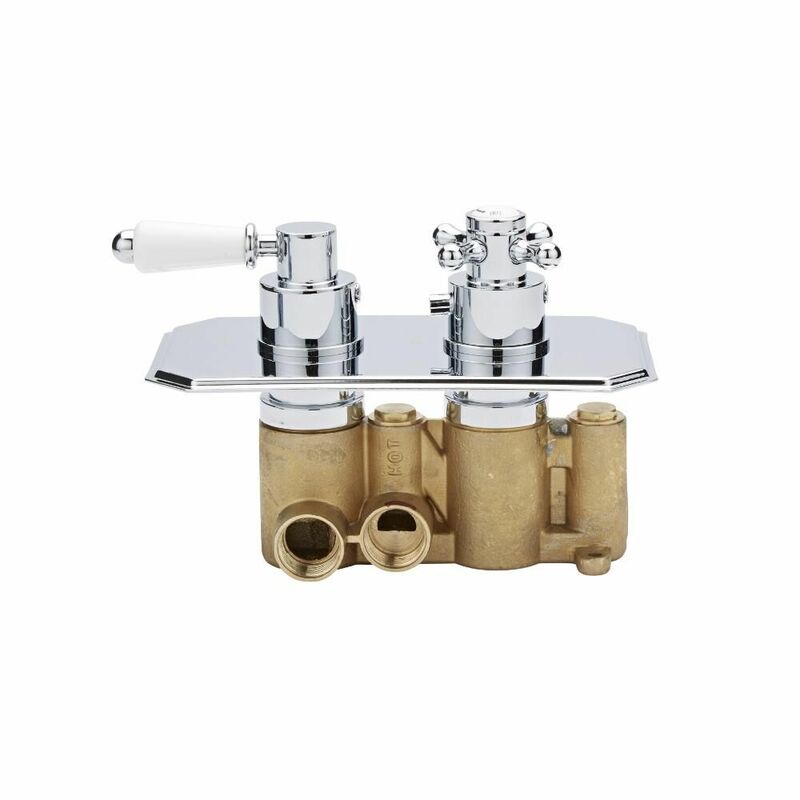 Made from solid brass, this thermostatic shower valve is suitable for all plumbing systems, and it supplies water to a single outlet such as a fixed shower head. 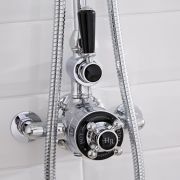 Featuring ceramic disc technology to prevent leaks and drips, this TMV2 approved shower valve incorporates an automatic anti-scald device to ensure a safer showering experience. 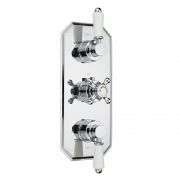 It has a brilliant chrome finish that blends in easily with any bathroom decor.